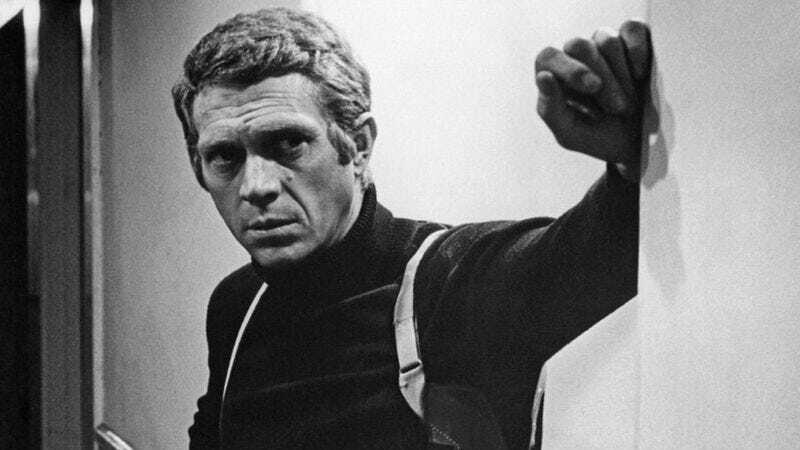 Steve McQueen (the dead actor, not the young actor or the director) has often been regarded as one of the coolest dudes in Hollywood history. He was in cool war movies, he was in cool car drivin’ movies, he was in cool motorcycle ridin’ movies, and he drove cool cars and motorcycles in real life. He was so cool, in fact, that modern cool guys are making his cool ideas into (theoretically) cool movies. Now Deadline is reporting that Hollywood is ready for McQueen to get the cool biopic that he has always deserved, and it apparently involves a long-kept secret about McQueen’s life that very few people know. Lake Forest Entertainment’s Graham Kaye is masterminding this project, and he’s apparently in possession of a journal that McQueen kept before he died in Mexico. In this journal, Kaye says that McQueen reveals some event in his life that will allow the filmmakers to tell a “unique and edgy story” that is “vastly different” from other accounts of McQueen’s life. One theory, which we’ve just come up with, is that McQueen was secretly an alien, and he was sent to Earth to teach the tragically uncool human race about how to be cool. Surprisingly, being cool involves turtlenecks. Deadline says trendy cool guys Channing Tatum and Ryan Gosling “have been talked about or expressed interest” in starring as McQueen, though Jeremy Renner tried to make his own McQueen biopic way back in 2011. Depending on how much Hollywood values the calling of dibs, the studios might have no choice but to give it to Renner. However, we think it would be cool if they hired Steve McQueen the director and the Steve McQueen from Vampire Diaries so it could be Steve McQueen’s Steve McQueen, starring Steve McQueen. Then they just need to find a way to connect it to that Sandra Bullock/Bradley Cooper movie All About Steve and Lightning McQueen from the Cars movies.